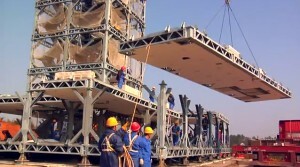 I know it sounds crazy, but a company built a 30-story hotel building in China in just 15 days. 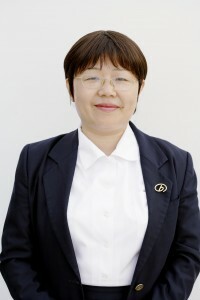 Juliet Jiang founded BROAD International in 1998 and acted as CEO of the company until 2010. During that time she developed sales networks & exported BROAD’s non-electric air conditioning systems to more than 70 countries, including projects like the Madrid Airport, Bangkok New International Airport and the Fort Bragg Air Force Base in North Carolina. Since then, she has set up BROAD International Air Quality Products & BROAD Sustainable Building International, acting as CEO. In December, 2010, she contributed to the establishment of COP16 BROAD Pavilion in Cancun, inaugurated by Mexican President Felipe Calderon. Since 2012, Juliet has been BROAD Group’s Senior Vice President and has spoken on behalf of the company many times, including at the UN and international conferences on energy conservation and green buildings. Ms. Jiang spoke with me from her office in China. Press the orange “play” button on top of this post to listen to the interview. What would YOU like to ask the people who built a 30-story high-rise in 15 days? I have received literally hundreds of questions. The construction community has lots of questions, opinions, and even concerns over this feat of engineering and project management. While I was not able to ask Ms. Jiang every single question I received, I painstakingly went through all of them and grouped them into main categories. I then was able to convert them into a handful of questions that we could tackle during the interview. I’d love to know what you think of this building and the impact that the BROAD Group is having on traditional building methods. What are your thoughts on this? Please use the box below and speak your mind. One of the challenges with prefab/modular is that you have to have a design in place prior to construction. There are a lot of projects that start before design is complete, which is done to compress the schedule, but is more expensive for the owner in change orders as details and interfaces are missed. I have had a number of meetings with clients as they are walking around a space under construction and say that they did not envision the space that way, so then it gets redesigned for their vision. This is a lot harder to do in cookie cutter units that are coming out of an assembly line. @bjshideler Ben, thanks for the video. Very interesting. You are right. I think an advantage of modular is that it involves a lot of computer modelling so owners can have a very good idea of what the space will be like when it is done. It is also a lot more obvious the impact that changes can have once things get going. Cesar, I have never heard of this model before. Great interview. Really got my head thinking about how this type of model can be applied to other areas. Great work as always. @Brian Wallace Thanks Brian, I’m glad you’re listening. It was a fantastic feat – I really look forward to what else can be done with this approach to construction.